While I enjoyed Voices in the Dark, the stories that JMS told there weren’t exactly ones I, or anybody else, was clamoring to see. He has such a rich universe, it’s a shame that all the TV movies, with the exception of In the Beginning concern themselves almost exclusively with generally unimportant events. Now that the door has been opened for more films, here’s a bunch I’d actually be interested in seeing, in chronological order. 1. Valen and the Previous Shadow War: For All of Michael O’Hare’s crappy acting, the character got a wonderful sendoff, and found a really interesting place in the backstory of the series. But, there’s still a lot of open questions about Sinclair and his life in Valen. I’d love to see a big movie that covered the previous Shadow War and showed Sinclair/Valen’s role in it. He’d get to hang out with Kosh and we’d also see how Sinclair adjusted to life with the Minbari. Through his prophesies, we could get a bunch of tie ins to the series, and I’d love to see the Shadow War rendered in today’s CG effects. 2. Morden, Anna and the Shadows: This would be tough since the actors have aged, but I’d love to see a movie that showed what happened to Morden and Anna Sheridan when they met up with the Shadows during their expedition. How were they converted, did they legitimately come to believe in what the Shadows were doing or was brainwashing involved? This would be ideal for a smaller scale project, perhaps paired with a story of Lyta on the Vorlon homeworld. 3. Garibaldi and Bester: At series’ end, one of the big question marks is what Garibaldi did to Bester. Now, I’m aware this was covered in a canon novel, but it’s not the same as seeing it presented visually, with the actors involved. So, I’d love to see what happens when Lyta lifts the mental block and Garibaldi gets the chance to seek revenge. Knowing JMS, he likely realizes that killing Bester wouldn’t get him anything, but it’d still be interesting to watch. There’s a lot more inherent drama here than in a random standalone story. 4. Lyta and the Telepath War: A lot of the post series material seems to indicate that Lyta is dead. But how did she die, what would be powerful enough to take out someone with her psychic capabilities, and what did happen during the telepath war? These are all questions that linger and have been convienently avoided in post series material. Lyta was just coming into her own at the end of the series and I’d love to see her at the height of her powers in a Dark Phoenix set against a war backdrop story. This would be a big one, but if they can do In the Beginning on a TV budget, this should be doable too. 5. The End of Crusade: Admittedly, this’d have a more limited audience, but I’d still like to see a movie that showed how the Drakh plague was resolved, and also gave some resolution to the characters from Crusade. Everyone wouldn’t have to return, but get Gideon, Dureena, Matheson, Galen and perhaps Sheridan in there to show what finally solved things. I’m sure JMS had the idea in mind, so it’d just be a matter of reassembling everyone. 6. Lennier and Delenn: One of the great ambiguities at the end of the series is what happened to Lennier. He died at some point between the end of the show proper and ‘Sleeping in Light,’ but there’s still a lot of untapped drama there. This would also give Delenn a chance to do a story that’s more than just a greatest hits tour. Did Lennier completely lose it after ‘Objects at Rest,’ or was he forever plagued by conscience, trying to atone for his great mistake? 7. Dureena and Galen: While I wasn’t a huge Crusade fan on the whole, I did really like Galen and Dureena. Both characters were different from what we’d seen in Babylon 5 and had potential for a lot of growth. In Crusade, it was hinted that Galen would take Dureena on as an apprentice, and I’d love to see a film that showed her training process, maybe spread over a period of years. Galen was one of the highlights of Voices in the Dark, and it’d be cool to have him back again. Both characters have a lot of moral ambiguity, and would challenge each other. Perhaps the film could be about them working to start a new order of technomages to replace those who had left. 8. Londo and Vir: A lot of references to Londo’s great sadness were made during Voices in the Dark, and I’d love to see more of what Londo was up to at the time. The character is the most interesting part of the B5 universe, and it would be a joy to watch him at a new point in his continued evolution. Plus, due to his imprisonment by the keeper, everything with him has inherent drama. I’d like to see a movie about Londo finally telling Vir what’s up with him, and setting in motion the events of ‘War Without End II.’ This could actually be a pretty small scale movie, and of all these, is the most likely to actually get made. 9. The Battle for Centauri Prime: The series’ best episode, ‘War Without End II’ gave us a glimpse of what would happen sixteen years in the future, as Sheridan and Delenn fought to save their son from a Centauri/Shadow threat. But, there’s still a lot of uncertainty surrounding the moment, and considering it’s one of the most dramatic pieces of the series’ chronology, I’d love to see it given further development. The major issue with this is the fact that Andreas Katsulas is no longer with us, and thus, we can get no new G’Kar material. I’d have loved to see what led him to his guerilla warrior assault on Londo, but even without that, there’s plenty of drama. Fill in the pieces around ‘War Without End’ and you’d have one of the most exciting movies possible in the universe. 10. The Rebuilding of Earth: In ‘The Deconstruction of Falling Stars,’ we get glimpses of Earth at various points in its future. The most interesting is 1,000 years in the future, where a bunch of Rangers secretly stationed on Earth work to rebuild after a catastrophic nuclear war. This was a fascinating concept, and I’d love to see more of the world. The juxtaposition of the rangers with humans at roughly our level of development would be really interesting, and it would be another chance to reflect on the way the main characters have become mythologized. Yes, we’d be missing the main characters, but the concept could carry it. Hell, it’d certainly be more interesting than Lochley’s story in this movie. This was written by Patrick Meaney. Patrick Meaney (Writer/Director/Editor) is a graduate from Wesleyan University, whose thesis film Universal Traveler won Best Film Prize at the 2007 LMC-TV Awards. In addition to The Third Age, Meaney’s current projects include Pre-Cognition – a webseries for the innovative content producer Gen247 Media, and development for a series of comic book related documentaries for Sequart.com. Working closely with collaborator Jordan Rennart, Meaney wrote and directed Dream Life (2007) and Do Unto Others (2006) which were both awarded the Best Art/Music Prize at the LMC-TV Awards. Meaney’s other work includes Ricky Frost (2006) and Tabula Rasa (2005) – winners of the LMC-TV Awards Best Drama – Adult Category Award, as well as editor for the independent feature film Spy, starring actors Vincent Pastore and Frank Vincent. Warner Brothers, TNT and time: killers of hope. I can't hate 'em too much. Without them, there'd be no B5 at all. Nor "Scooby Doo: Mysteries Incorperated." These would be some awesome stories to see to play out to a finish! But you know, sometimes as much as I'd like to see some stories have a conclusion, there are some that are better left unfinished. Some stories are timeless and can have meaning any time throughout history and giving them a neat and tidy conclusion just wouldn't seem right. For the last , FOURTEEN YEARS, they've been 99.999% useless. 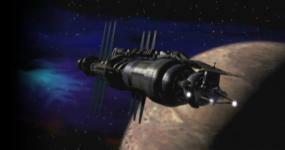 Any good Warner Brothers and TNT did for the Babylon 5 universe, was done in the last century. Since 1999, all we've seen have been shoestring budgeted fizzles ("B5:Legend of the Rangers" -Sci-Fi, and B5:Lost Tales - Warner Brothers). When it comes to the Babylon 5 universe, since 1999, Warner Brothers have been faithless tightwads. They wait when they should act. Then, when they do act, MANY, MANY years after they should have, they're tentative and cheap. ...and THEN, they LOSE, SELL or DESTROY the resources that would make it easier and less expensive to start things up again. Last edited by KoshN; August 22nd 13 at 21:12. 1) Time Warner is the largest, most successful media company in the history of the world. They didn't get that way by throwing good money after bad. In fact, they got that way by mass-producing very cheap, high-quality entertainment, and trusting their people to do their jobs so long as they brought stuff in on time and on budget. 2) B5 was an example of this working. Subsequent projects are examples of it not working. Warners has lost faith in the product. While it's a dumb conclusion to make, I can totally see how they'd come to it. And the fact that they were still talking seriously about it as recently as two years ago proves they're not monsters. 3) If you want to bring B5 back to life, show a way to make it affordable and profitable within the current media environment. Bear in mind that Paramount/Trek and MGM/SGU were unable to do this. Paramount is making movies now because it makes more sense from a cost/return basis than cranking out another hundred hours of a TV show. MGM sinking 80 million into a show nobody watched (SGU) was a material contributor to their bankruptcy. Space-based SF is supercalifragilisticexpial-expensive. 4) You couldn't use 15-year-old sets on a show today. High-def. Even if they'd saved 'em, they'd be useless. Paramount saved the TOS sets for 9 years, and when they had an excuse to use 'em again, they realized they were entirely useless for a movie, and ended up rebuilding them almost from scratch. Also, they were badly deteriorated. All that said, Warners' interdepartmental infighting has become byzantine in the last decade or so, and they frequently make decisions that don't appear to make any sense. Such as, say, cancelling Young Justice, or making everyone in the DCAU production group re-pitch their shows EVEN AFTER THEY WERE ALREADY ON THE AIR AND GETTING GOOD RATINGS. So they have gotten increasingly whacky, but that doesn't really negate anything I said above. I don't live in the US so not sure how HBO works but they seem to make good quality shows and reduce the cost by making only 10 episode seasons. Game of Thrones probably uses as much SFX as a new series of B5 would.